I can’t remember exactly why I found myself looking up Chi’s Sweet Home, probably someone recommended it. Anyways, I found it to be, so far, the single most endearing series I’ve seen. Ever. More so than Aria or anything else. 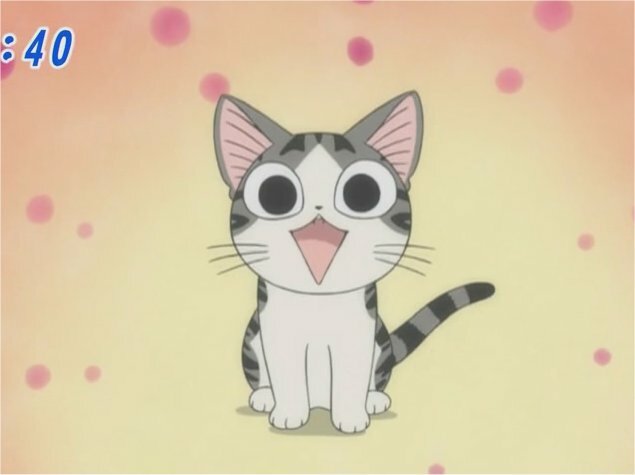 It’s probably the combination of awesomely cute visuals and the voice actor of Chi him/herself. (I think Chi is gender neutral…. lol I’m only 17 eps in, so no one tell me if Chi is one or the other.) Satomi Koorogi is not only responsible for voicing Chi, but more familiar to me, Tat from Klonoa 2 Lunatea’s Veil, a fantastic PS2 game, the first one I ever got actually. The music in that game was fantastic too. Koorogi sang a song in that actually now I think about it…. 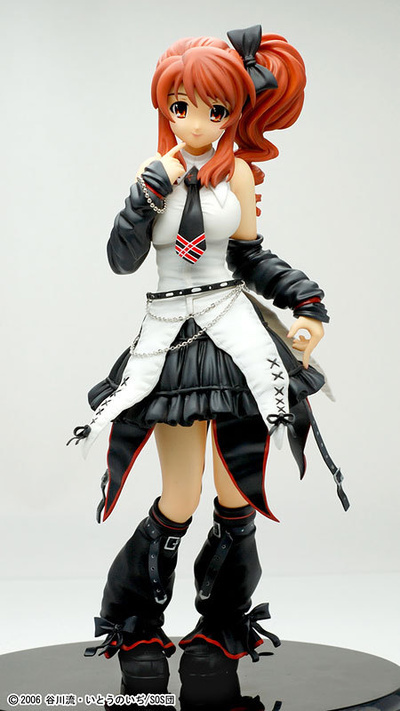 must hunt down…..
She has to be one of the best Mikuru figures I’ve seen. She is a definate must have…. and I will have….. someday after she’s been released I will get my paws on that divine beauty. That pic came from here, and more lovely photo’s can be found there, along with a link to the amiami page. Who else is enticed by this here darling?